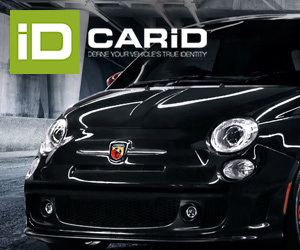 Is the big GM ready to accept Fiat’s proposal? illustrations modified by me. FCA needs a partner and it must arrive soon. That’s what Sergio Marchionne has been saying to the capital markets since he explained his presentation about the advantages of sharing projects and costs in an industry that burns billions of dollars trying to develop new cars. But that’s not the only reason: FCA needs to save money to carry out its 2018 plans as its debt is among the highest in the industry and the goals are quite ambitious. Besides, a partner would help Fiat Chrysler to improve its weak position in Asia, the world’s largest car market. The company is in a dangerous position in which it isn’t big enough to go ahead alone, but it isn’t small enough to coordinate its business and live without big expectations. Even in an optimistic scenario in which FCA would achieve its 2018 goals, the company would be selling fewer cars than what Renault-Nissan (the 4th largest auto group) sells today. At the same time they can’t do what small and efficient carmakers such as Mazda do, in terms of running its business without big targets. In this context, Fiat has two paths: it looks for a bigger partner (at the end it means that Fiat would be absorbed) or it buys smaller carmakers. The problem with the second alternative is that Marchionne knows that he needs funds to rebuild Alfa Romeo and take Jeep to the 1,9 million units mark. In that case he would have to choose between buying or investing. The alliance, more or less like Renault-Nissan’s, would help Fiat to save money, invest it in its brands and enlarge its presence in Asia, with a price that would be its independence. GM is a candidate despite the problems it had in the past with Fiat Auto and the problems they may encounter in NAFTA, Europe and Brazil. These are the pros and cons about a marriage that seems will take place against the will of GM management. 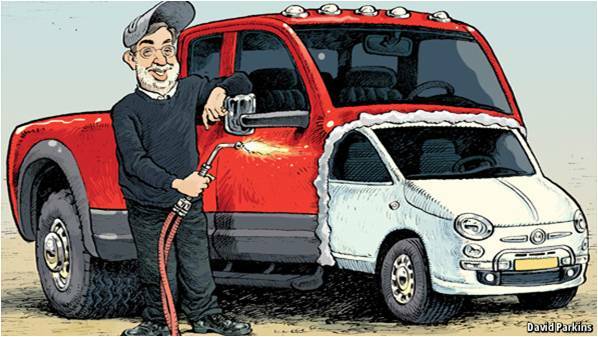 There was a lot of skepticism when back in 2009 Marchionne took the control of Chrysler. Today Chrysler lives thanks to Fiat, and Fiat survives thanks to Chrysler. Volume. The alliance would lead the world’s car market. 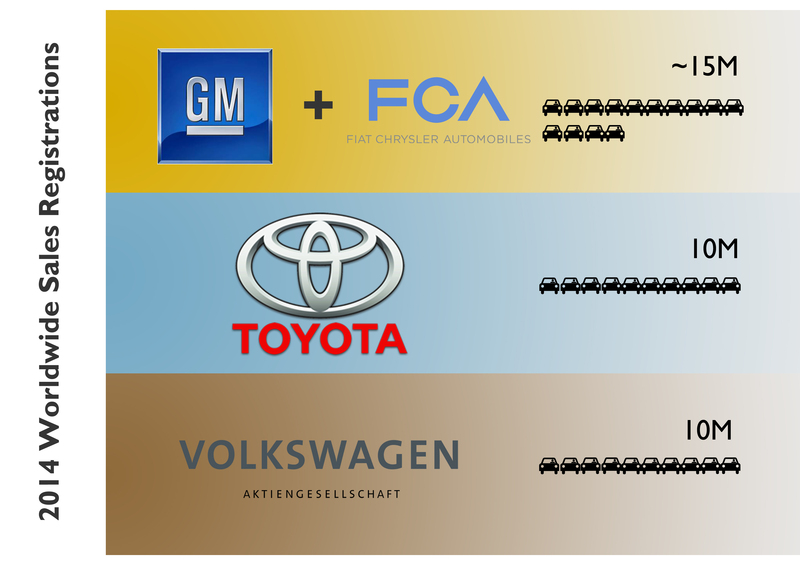 Combined FCA and GM would sell around 15 million units per year, or 50% more than VW Group and Toyota. Therefore GM-FCA would rank first in USA, Canada, Brazil, Argentina and some other Latin American countries, while third in Europe (after VW and Renault-Nissan), third in Turkey, and second in Australia and Mexico. Of course it would keep its strong position in China and South Korea, but it would still have a weak position in India, Japan and Russia. SUVs and Trucks. 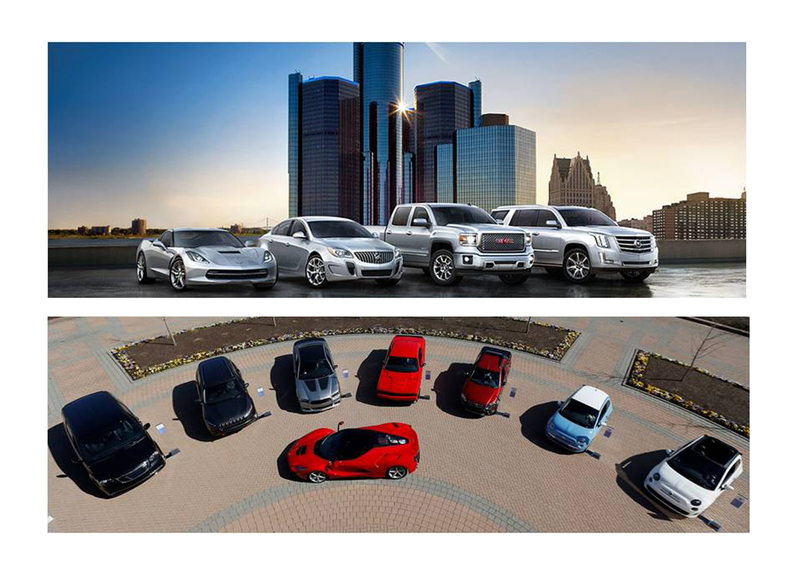 GM and FCA together would be able to offer the industry’s largest range of SUVs and trucks with a solid brand such as Jeep and the big SUVs of Chevrolet and GMC brands. Jeep heads to the 1,9 million units mark with worldwide presence, while GM has several products according to the market: from the small Mokka/Tracker/Encore/Trax, the mid-size Trailblazer up to the big Traverse, Yukon, which are highly appreciated in the Middle East. Engines. Fiat would benefit from GM’s latest electric/hybrid technology. Joint forces could help to meet the European emissions regulation and at the same time Fiat’s knowhow on small and efficient engines could be an advantage for brands such as Opel/Vauxhall, Chevrolet and Holden. China. GM is China’s second best-selling car group and thanks to the success of its mid-size sedans from Buick and Chevrolet brands, it is now working on the introduction of upper-segments cars. It needs to improve its presence in the SUV segment and that’s where FCA can contribute with the Jeep brand. Chinese love SUVs and Jeep is part of that: last year FCA sold more imported and expensive Jeeps than locally built no frills Fiats. The potential of Jeep in China is huge and once they start local production (is expected to begin by the end of 2016), the demand will post a big jump no matter the recent Chinese economic slowdown. China is one of the few markets where both groups would perfectly complement: GM with its popular mid-size sedans and FCA with the popular Jeeps. Premium brands. Yes, FCA has 3 of the most famous premium brands in its range: Ferrari, Maserati and Alfa Romeo. But their combined sales are more than 15 times fewer than any of the 3 German premiums (around 100k units vs. 1,7 million units). An agreement with GM wouldn’t change that for good as Cadillac, the American’s best-selling premium car brand is only popular in USA and Canada, but extremely unknown overseas. In 2014 GM sold a bit more than 230.000 Caddys, from which 75% remained in USA, 17% in China and 4% in Canada, whereas it sold only 365 vehicles in Europe. There’s certainly something wrong if you sell 15 million cars from which 350.000 are premium, when Volvo will sell 500.000 units this year. Factories. What would happen to the plants in USA and Europe? what about the total number of employees? it’s an issue that highly concerns union labors and governments but it is also a cost savings key factor. When Fiat bought Chrysler it promised not to close any factory and 6 years later most of all of the North American plants are running at 100%, but Italians are still struggling to increase their capacity use. FCA’s goal is to use 100% of the Italian plants by 2018 when it will be producing and exporting its premium products. But a big part of the savings would come from sharing platforms and parts, and this means that the production could be more concentrated in fewer plants. In other words: it makes more sense to run 5 plants at 100% of their capacity than 10 factories at their 65%. The past. GM and Fiat have been married in the past and it didn’t end well between them. Their first marriage was in the year 2000 and was the base for the development of common projects such as the sub-compact platform for the Corsa and Punto, the engines that powered upper segment cars such as the Alfa 159 (by the way, its biggest problem). It didn’t work because in 2005 Sergio Marchionne, Fiat’s new CEO forced GM to take a decision: whether buying the remaining part of Fiat (80%) or giving money to Fiat to be released from GM’s legal obligation to buy the rest. GM had big problems during that time and it didn’t want another by taking the whole Fiat: the Americans had to pay Fiat to have one less problem. If didn’t work in the past why should it work now? Cannibalization. Opel range is too similar to Fiat brand’s; Jeep is a direct competitor of GMC; Chrysler brand isn’t too different from Buick; Chevrolet and Dodge are considered the American mainstream car brands (along with Ford). How an alliance would handle this? there have been cannibalization cases inside both car makers: Alfa Romeo and Lancia (Lancia died), Cadillac and Saab (Saab died), Chevrolet and Pontiac (Pontiac died), GMC and Hummer (Hummer died). Enlarging the quantity of brands within a same car group means to give them all a unique identity with a special positioning and in the case of mainstream brands like Opel, Fiat, Jeep, GMC, Chrysler, Buick, Chevrolet and Dodge it is hard to understand how they differentiate from each other. Hi Juan, Nice piece, again, thanks. Perhaps a deal only for (a) opel-fiat (b) latam, where both gm and fiat overlap, and so can cut costs through parts, modules, engines, platforms and plant sharing (c) some engines (eg the new gen fpt mjd2 diesels, some hot new alfa/fca petrol engines) + assorted (mild) hybrid + electric + digital cooperations. Just to have Elkann or Marchionne or their rep on the board of GM…..will increase GM’s share price, its bureaucratic management’s weak reputation…..and could yields plenty of synergy benefits for FCA too, and not in the very long run either. it doesn’t have to be a merger or even a share swap or hostile bid, just cooperation, esp outside the US. The financial benefits esp in Europe and recessionary LatAm will be big and come quickly enough? Good points you make, a merger with GM would effectively destroy fca’s traditional brands. While I can see GMC surviving beside Jeep (which is really the only value GM would gain), Ram would die, Chrysler would not find a place beside Buick, and Dodge would not gel with Chevy or make an effective replacement for Pontiac (which GM could resurrect if it wanted to). While Fiat has a stronger position in Latin America, in Europe it’s just an inconvenience for Opel. There is not enough synergy for a GM merger to make sense. Ford on the other hand might make a more interesting proposition..